When you’re seeking AC repair in Noblesville, you don’t want a service team that drags their feet or shows up only to give you a runaround. The summers in Indiana are notoriously hot and humid, so you need specialists who can perform AC services swiftly, efficiently, and with a focus on precision. That’s why homeowners in Noblesville choose Service Plus Heating, Cooling & Plumbing! For nearly two decades, our AC repair experts have been offering leading solutions and cost-efficient service to home and business owners alike. Our top priority is to bring you services you can trust and solutions that restore your comfort with as little interruption to your daily life as possible. 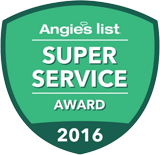 In short, when you’re looking for some of the best AC repair in Noblesville, choose Service Plus. Contact us online or give us a call at (317) 434-2627 to schedule AC repair in Noblesville or the surrounding areas today. Our repair team wastes no time getting your Noblesville home back to the cool comfort you’re used to. Using our cutting-edge diagnostic technology and extensive experience, we can swiftly diagnose the issues your system is experiencing, allowing us to get to the root of the issue and administer an effective service with both speed and unparalleled accuracy. Our specialists are highly trained and capable of servicing all air conditioner types, brands, and system models. We’re your single source for complete air conditioning solutions, so never hesitate to call when you want some of the best AC repair in Noblesville. Additionally, all repair services come with a carbon monoxide check to ensure your safety—it’s 100% complimentary! To learn more about our AC repair in Noblesville, contact us online today. Loud or strange noises. For the most part air conditioning systems make very predictable sound when in operation, so when something strange starts to happen it’s easy to notice. These sounds usually mean damaged components, which need to be resolved quickly to avoid more severe AC damage. Weak cooling power. Many issues can lead to weak air flow or cooling throughput, from a dirty filter to complications with the AC compressor. No matter the cause, our experts can find and fix it! Spikes in energy costs. Energy costs tend to stay at least somewhat steady throughout the summer season. If you see a 10-20% jump in costs, it’s time to call for an AC repair team. Short-cycling. When a cooling system kicks on and off very frequently it is called short-cycling, and this issue can wear a system down prematurely very quickly. Call on our experts for a reliable solution! Frost or ice formation. Overheating, air flow issues, damaged blower assemblies—all are possible causes, and all are well within our ability to repair. When you need service experts that can offer reliable, efficient solutions that you can bank on, you don’t need to look any further than Service Plus. Your needs are our priority, and we never offer up anything shy of our very best. If you’re looking for a reliable HVAC company in Noblesville, choose Service Plus. Contact Service Plus online now or give us a call at (317) 434-2627 to schedule AC repair in Noblesville today!